A lot of people are super confused about how to use the new pinch-to-zoom and swipe to delete / archive features. Here's the breakdown. 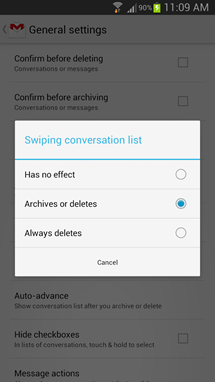 Pinch to zoom: You need to go into the General settings menu and enable "Auto-fit messages" to use pinch zooming. Pinch zoom only works when this feature is enabled. Swipe to delete / archive: The swipe action can be configured from the General settings area as well, look for "Swiping conversation list." You can choose "Archive or delete" - which archives from the Inbox (or strips a label from a non-inbox message and sends it to All Mail), but will only delete a messages from the All Mail / Spam folders (it does nothing in Trash), "Delete only" which deletes from everywhere, or "Do nothing" ... which does nothing. Yeah, we're not sure what Google was thinking, either. 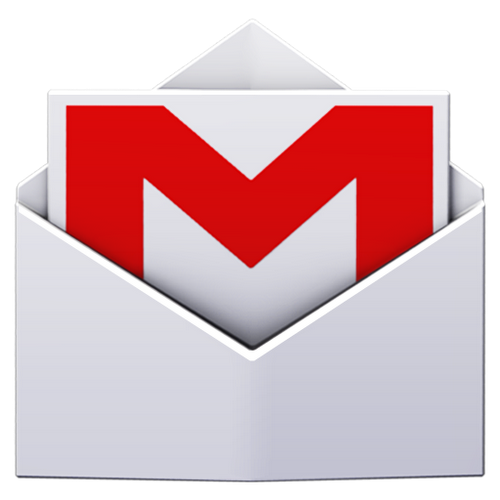 The wonderful new revision to Gmail we first covered back in October is officially live for all Android 4.0+ devices. 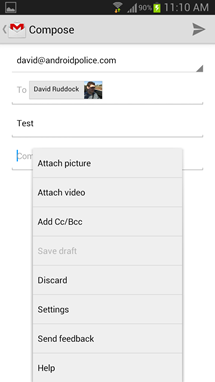 It brings message auto-fitting and zooming (via pinch), swipe to delete / archive, in-app video and photo attachment capability, larger photo previews, along with a brand-new gallery view for emails with multiple image attachments. 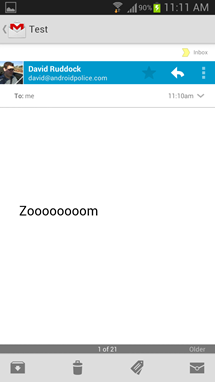 Smaller changes include removing the message text size option (because pinch to zoom is now present), contextual unread counts for each label (as opposed to just the inbox), and a permanent anchor for the "inbox" label on the drop-down menu at the top of the app. 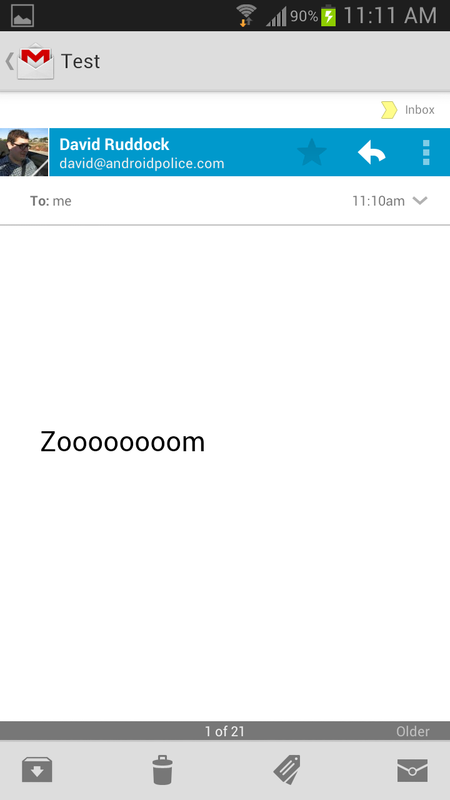 Oh, and praise all that is holy: attachments are back where they belong - at the bottom of the message. Head to the Play Store to grab the latest version of Gmail now. And remember, this is only for Android 4.0 devices! You can also check out this post by the Gmail team on Google+ to learn more about the new update.